Club Penguin Cheats by Mimo777 Club Penguin Cheats by Mimo777: Help Decide Future X-treme Reading Segments! 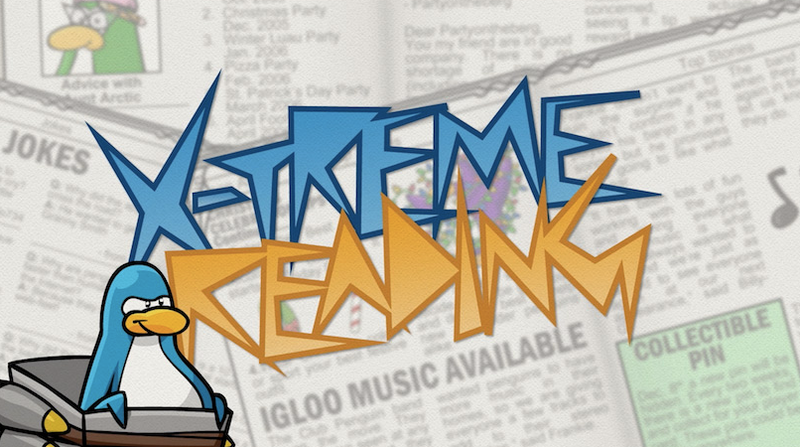 Club Penguin is starting a new segment called X-TREME READING segment! And they need help with some suggestions! Here's a few to get you started! Now it's our turn! 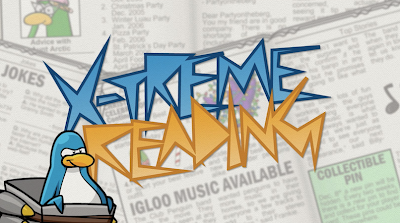 Comment on the CP blog with your suggestions for future X-TREME READING segments.